The Tracfone LG 3280 is the latest and finest CDMA phone from Tracfone. 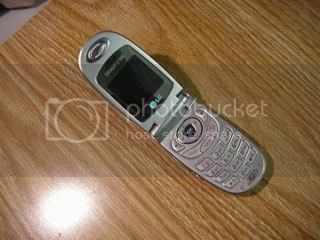 It is a "One Rate" Phone which is unusual for a CDMA Tracfone. Most CDMA phones from from Tracfone are not "One Rate" and will charge you double units for roaming. I have used all of the CDMA phones available in the last few years and the Tracfone LG 3280 is my favorite. 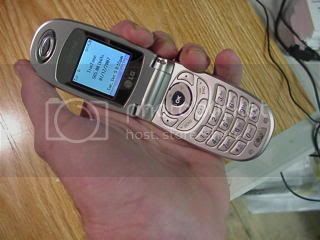 I used the Motorola V60i for quite a while and I like it nearly as well. The V60i is not available very often and I think it is being phased out. The LG 3280 is thinner and lighter than the Motorola V60i, it fits in my pocket better. I am biased toward flip phones because I like to carry my phone in my pocket, not on one of the cases on my belt. Tracfone LG 3280 Features I like! The features of the LG3280 that I like are the hands free speakerphone which is really easy to turn on, the Color Screen, the folding design. Also this phone is pretty light weight at just 2.8 ounces. I also like that the Track Phone LG3280 is a CDMA phone. That means that it will run on the Verizon, US Cell and Alltel networks (or almost any of the CDMA networks in the US). If you have good coverage with either of these carriers or any of the CDMA networks in your area this phone will probably work well. In Western Montana where I live the only networks that work are Alltel and Verizon. If when you go to Trafone.com you are not offered a Tracfone LG 3280 I have a simple trick that you can use to order one. The LG 3280 will work in your area if Verizon, US Cell, or Alltel work in your area. Go to the Trafone website and instead of putting in your own zip code put in 59802. This zip code is for Missoula, Montana and does not have coverage by a major GSM provider. The only phones available from Tracfone for use here are CDMA. If Tracfone has any of the LG 3280's in stock they will show up here. When you put in your shipping address they will double check with you that this is different than the zip code you used to order the phone. You can click past this twice and order the phone. Caveat: You might not be able to activate this phone for your local area code but since this phone is a "Single Rate" phone. It will only matter to the people who call you if they do not have free long distance. Your calls will always be one unit per minute on your Tracfone LG 3280. The Nokia 2126 is my favorite candy bar style CDMA phone for Tracfone. It is small and the battery life is awesome. It is not a "single rate" phone which doesn't matter if you don't leave your area much. You can purchase one of these this way also. Check out the New Tracfone Motorola W370 Prepaid Cell Phone which works on the AT&T Cingular Network. 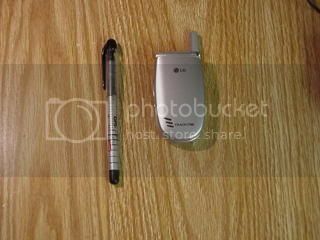 The New Tracfone LG 200c CDMA Prepaid Cell Phone Reviewed with pictures. The New Tracfone LG 225 GSM Prepaid Cell Phone Reviewed.